Is it a bird, is it a plane…? You may not have heard much about Amazon’s plans to use delivery drones since it first mooted the subject amid much fanfare in 2013, but that doesn’t mean the idea has been filed under failed well or remains in the realm of science fiction. The company is making good progress, as are any number of other players. True, the Amazon Prime Air page still has the same video about a few customers’ initial experiences near London dating back 2016, but don’t be misled: the company continues to register patents, such as using a balloon to fly the drone when it gets close to the customer’s premises, which would be quieter than a conventional drone (this has nothing to do with the Japanese April Fools video of a zeppelin acting as a drone mothership, although Amazon did patent a similar idea a few years ago), and has recently boosted recruitment to drive the project forward, indicating its good health and high expectations. 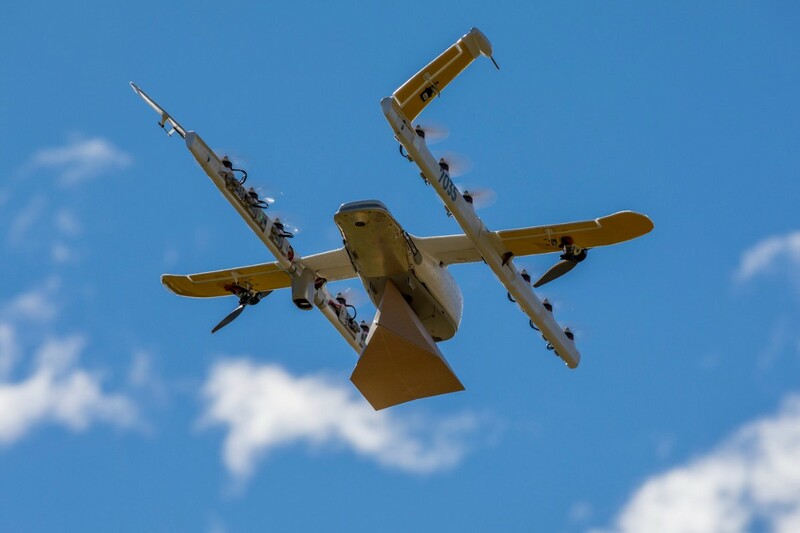 Amazon is not alone in exploring ​​air logistics: aside from a number of interesting experiments throughout southern Africa, we have seen UPS drones transporting blood samples in the skies over North Carolina, while a Google project called Wing, developed in relative secrecy within Google X, has already announced an upcoming pilot project in Finland and, after obtaining regulatory approval, just begun drone deliveries in Canberra, Australia. Wing’s prototype drone, seen above, lowers packages via rope, and will begin shipments from a few stores to a handful of local homes, although Alphabet expects to scale up its operations in the short term, sounding out residents’ interest in the project. If you thought the media coverage of drones as the future of last-mile logistics was just so much hype, or simply plain impossible, think again, and ponder on their myriad possibilities and opportunities.